Jackie Keshner '19, an English major with a double minor in global business and economics, will issue that challenge as the student speaker for this year's Charter Day ceremony on Feb. 8 at 3:30 p.m. in Kaplan Arena. Katherine A. Rowe who was sworn in as W&M's 28th president last year, will be inaugurated during the Charter Day ceremony, which comes in the middle of a yearlong commemoration of 100 years of coeducation at the institution. "William & Mary means so much to me," Keshner said. "It was my dream school going into college applications, so it really meant a lot to me to have the opportunity to speak at the Charter Day and celebrate where we're coming from and where we're going." 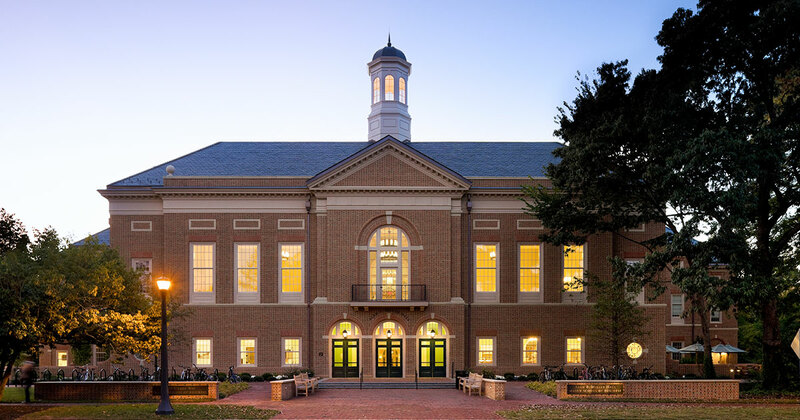 Each year, students compete for the chance to share their reflections on the university's charter, which was issued in 1693 by W&M namesakes King William III and Queen Mary II. An Illinois native, Keshner has entered the contest nearly every year during her time at the university. "This year, it really all came together because when I looked at the prompt about what we are celebrating - President Rowe's inauguration and 100 years of women - that inspired me to say why don't we look into those stories a little bit more," she said. Hearing about the oral history project underway in the library's archives, immersing herself in 17th century research and seeing all of the events on campus celebrating women this year, Keshner decided to start her essay focused on telling some of Queen Mary's story. "We don't know a lot about her, and we don't think about the people behind the names (of William & Mary) as often," she said. "You just gain an appreciation for how many stories there are just walking around on campus," she said. "I found that really inspiring, and I think Charter Day is good day to celebrate that. "As an English major, you know I love stories, so bringing that all together was really exciting - and being able to speak this year, I was very excited about it." "Whether you're an alum or a faculty member or current student, the story we're building together as a school is comprised of all the individual stories of all of us, and we can keep working on our own story and telling it and being really proud of where we are coming from," she said. The members of the Tribe can encourage one another just by acknowledging each other's stories and being empathetic and compassionate. "I think we have a lot to be proud of and also a lot of places to go, and i think we can all help one another do that," she said.